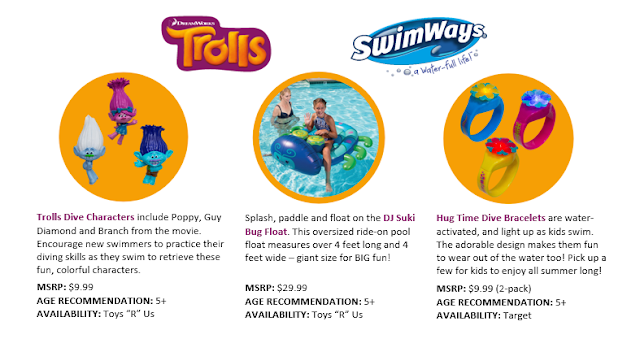 With Easter and Spring Break coming soon I have some exciting Trolls toys and accessories from SwimWays that is perfect for the 2017 pool season. If you have a Troll fan, you can not go wrong with any of these fun products from SwimWays. My kids are looking forward to the weather getting warmer and to try out the dive sticks at the pool! 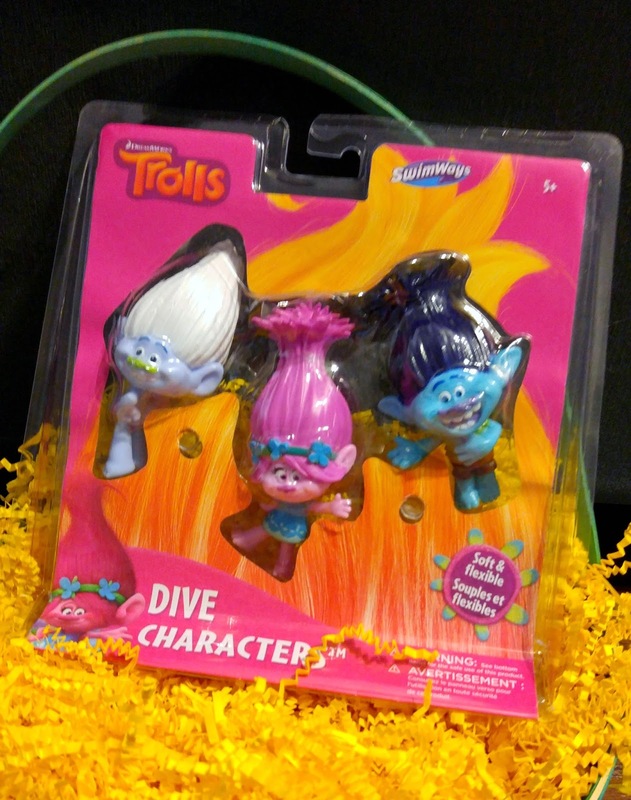 Your dolls will love to swim with DreamWorks Trolls Dive Characters from SwimWays! 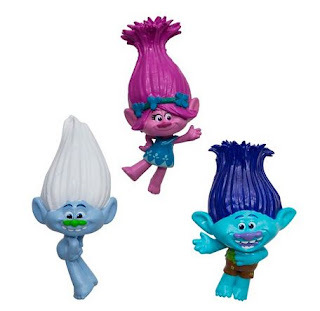 This set of dive toys includes Poppy, Guy Diamond and Branch from the popular Trolls movie. Encourage new swimmers to practice underwater swimming skills as they dive to retrieve these fun and colorful dive sticks! Pair these dive sticks with the Trolls movie and candy and you have the perfect Easter Basket! 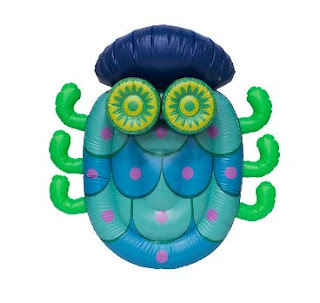 Splash, paddle, and float on the DJ Suki Bug Float from SwimWays! This oversized ride-on pool float looks like one of the colorful bugs that DJ Suki plays in the popular DreamWorks Trolls movie. This colorful inflatable float measures over 4 feet long and 4 feet wide - a giant size for BIG fun! 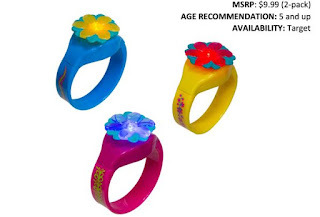 Great for everyday pool play and for kids’ pool parties, too. Hug Time Dive Bracelets from SwimWays are bracelets that light up under water! The lights are water-activated, adding a fun element for kids as they swim and play. The adorable design of these officially licensed DreamWorks Trolls toys makes them fun to wear out of the water too. Pick up a few for your next kid's pool party as a party favor kids can enjoy all summer long! Includes non-replaceable button cell batteries.